Weather/Conditions: Good weather, bit windy on top. 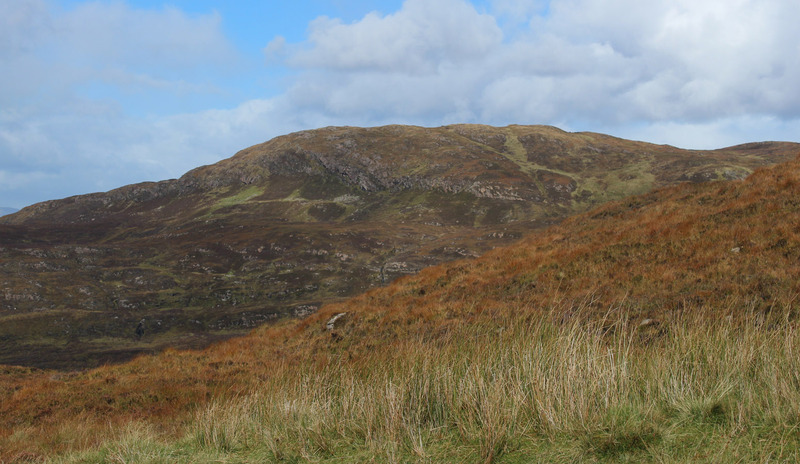 Sgurr na h-Iolaire is the high point of some of the Sleat moors. 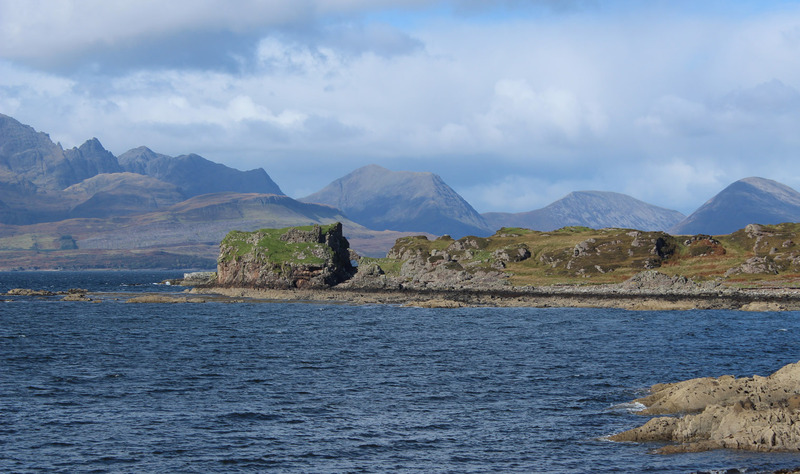 I was spending the entirety of September working on the peninsula for Gaelic drama 'Bannan'. By the time the weekends came, though, I was wiped out! And instead of going off for a big hill trip, I stayed local for some of the moorland tops. This sgurr is almost not a sgurr at all, but a heel of moorland barely higher than the rest. Landforms like these are more often meall or maol. 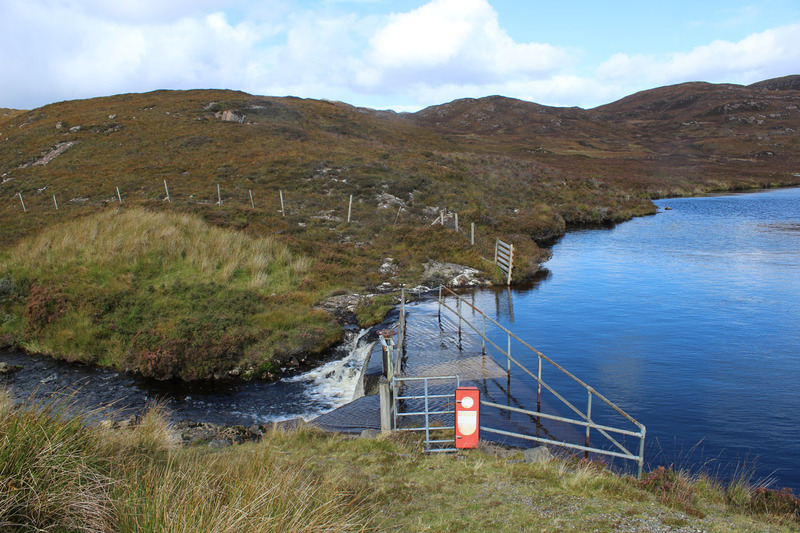 But that aside, it's not a long way from where the road passes Loch Dhughaill on the way to Tarscabhaig. 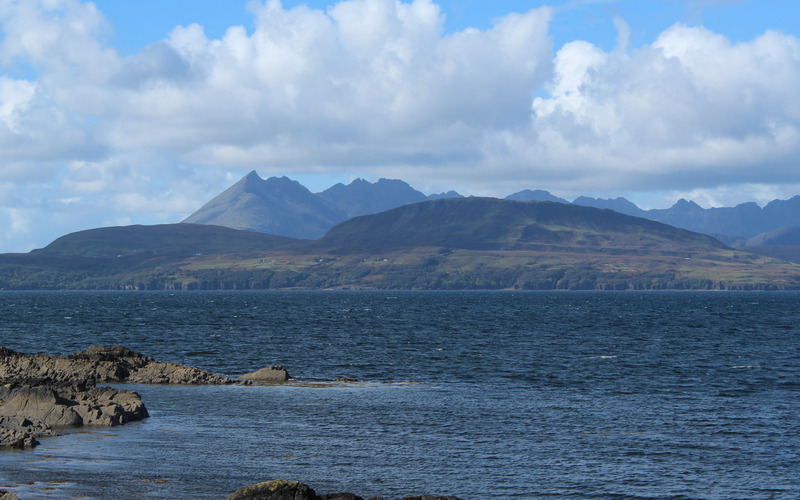 It is the views that makes this hill, and as with all of Sleat it is the Cuillin that are ever-present. 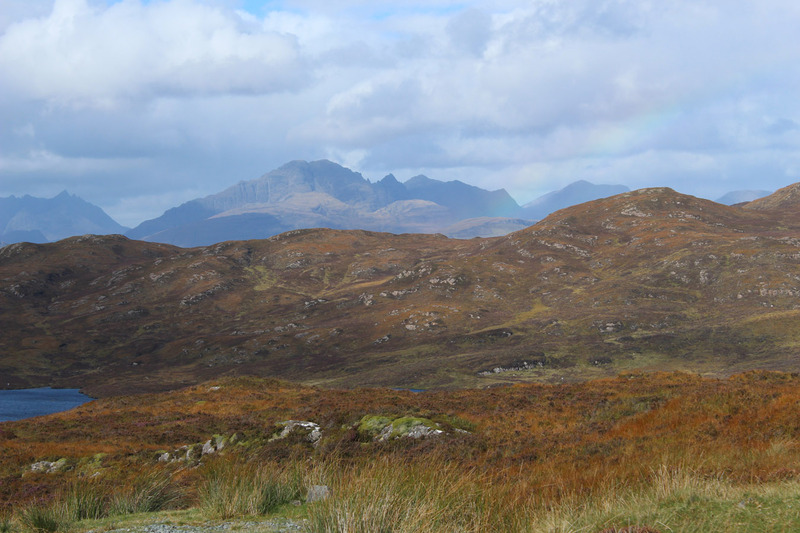 You don't see the rest of Skye from the main Sleat road, but cross over the moor as on the way to Tarscabhaig as the Cuillin summits are always there - provided you can see them in the first place. 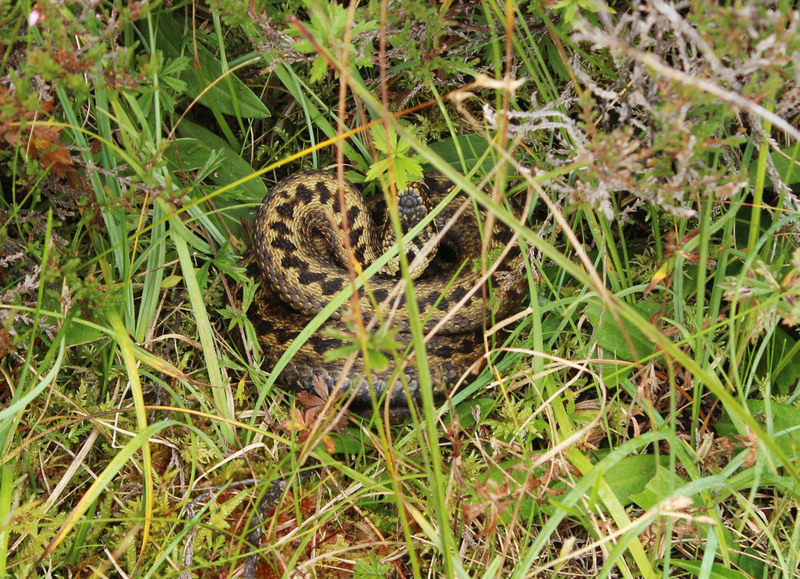 As I walked through the heather, I was fortunate enough to almost walk on top of my first ever adder. My foot nearly went down when I noticed something odd and I moved out the way in time. As I rushed to get the camera it just sat there, no doubt thinking itself framed and soon to get eaten. I got a snap then it darted off into the bushes. It was great to see one at last, but no doubt he wasn't so keen to see me. I did a short scramble on the little crags below the summit, then got a pano from the top. It is a stunning place, and was great to be able to spend five weeks based there. I also found the work really drained mountain motivation. Back at the car, I drove around to Tocabhaig and over the other high road. 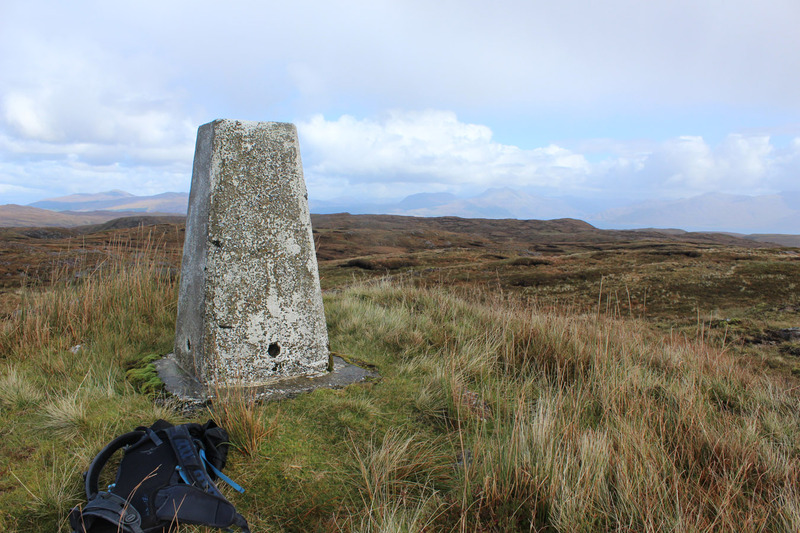 I was almost going for the other Sleat hill, Sgorach Breac, but could not find the motivation. So back to the house instead. Never mind, another time!